When we looked in detail at Amazon’s meal-kits compared to Blue Apron and HelloFresh we briefly pointed to Amazon’s own meal-kits being prepared in a more advanced manner. This is a big deal and worth pointing out separately. 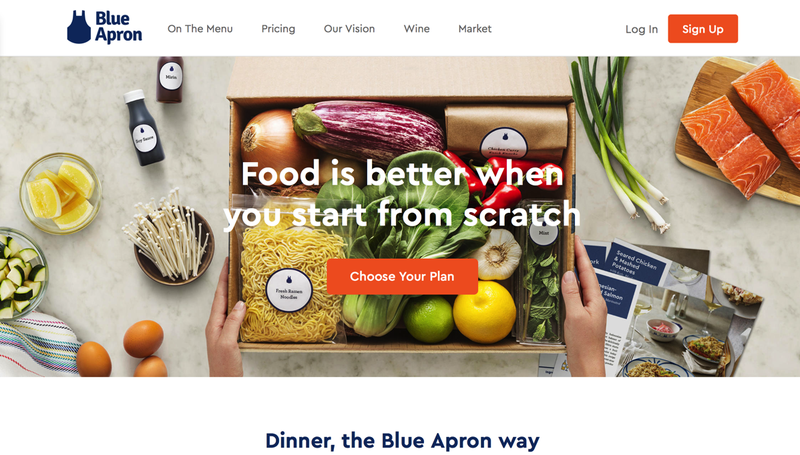 HelloFresh and Blue Apron have their advantages. The HelloFresh meal of panko-breaded chicken tenders and potatoes was simple, but tasty and plentiful. The Blue Apron meal of Chicken Marbella was both decadent and Instagram-worthy. But both meals required significant prep work, with potatoes to be diced and so on. Amazon’s Chicken Tikka Masala was far easier. Everything is pre-chopped and pre-apportioned. Even the rice was already cooked; it just needed to be heated in the pan. It made cooking so much easier. This makes meal-kits more expensive to produce but they deliver on the job most people will be looking for with meal-kits: Make it as easy as possible for me to cook for myself and my partner and/or my kids. Blue Apron, in particular, feels like it could be a real learning experience for a dedicated foodie who wants to pick up a few new tricks. If your main goal is cooking dinner for your friends and family, though, Amazon is truly easy mode. more problematic: people trying to learn to cook better, tastier meals will leave the service sooner rather than later. Once they know how to do it, it is far cheaper to just buy the ingredients themselves. With Amazon’s meal kits, you can just order one or two or six feasts-to-be at your leisure. Each kit is between $18 and $20 for a two-person meal. It works out about the same price per serving as the competitors, but the flexibility is clutch: If you know you’re going to be eating out a bunch on a particular week, just don’t buy any. ​But if you have a busy week coming up with meals having to get cooked at home, Amazon’s meal-kits are a great solution. With scale, the prices of Amazon’s meal-kits (as everyone else’s as well) should come down significantly, changing the whole food game. This means moving jobs that are about ¼ of Blue Apron’s workforce. This is played as a move to ensure growth. Begs the question why the former fulfillment center gets abandoned though.